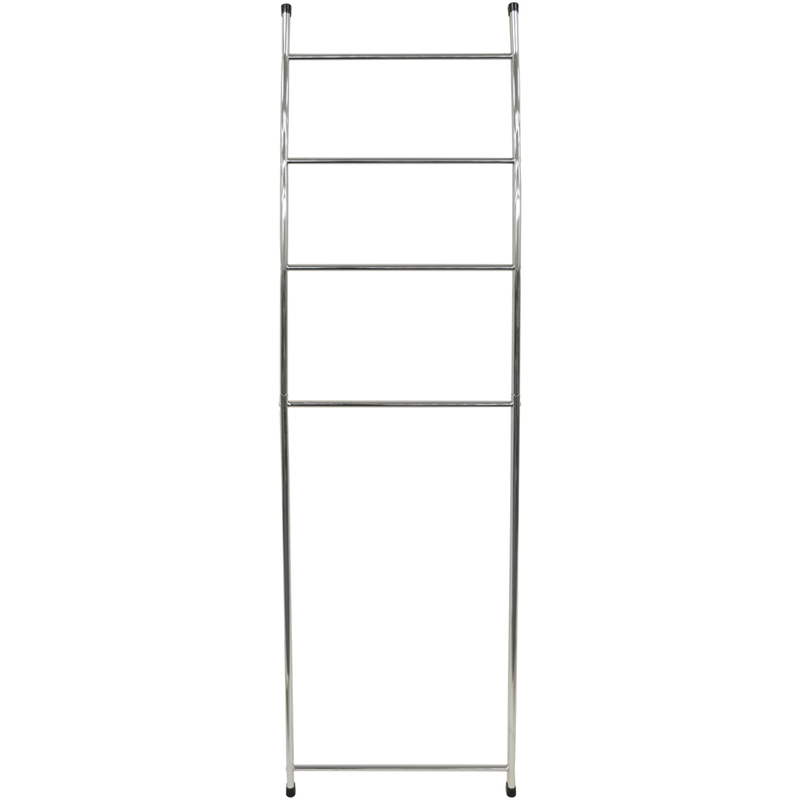 Space saving and highly stylish, our chrome plated towel ladder has four rails providing much needed airing and storage in the bathroom. 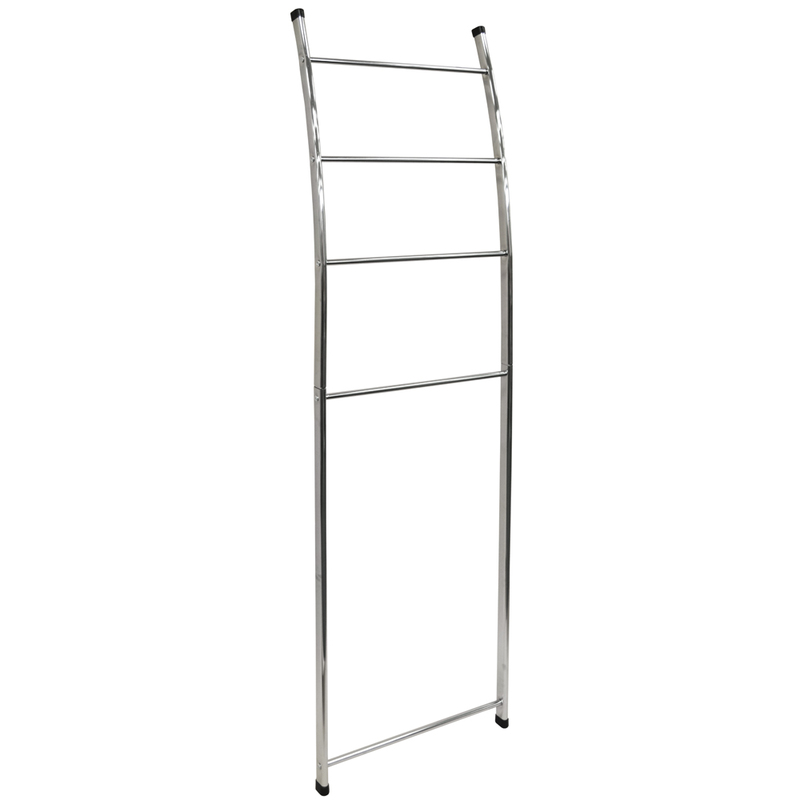 Wall fixings included, but can lean if desired, meaning the ladder can be mounted over a radiator if required. Distance from wall at base should be 14.5cm to facilitate towel drying. Each rung is 41cm wide and they are 18cm apart. 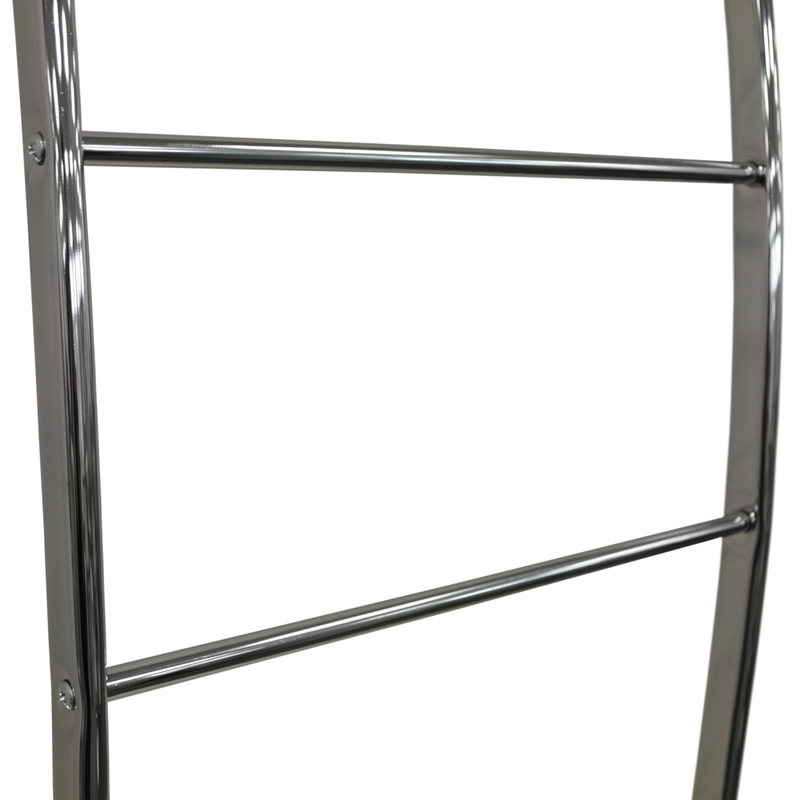 Made from chromed steel tube with black rubber stoppers.